Opening to the fuzz-rock-fantastic eponymous noise rock track, this album gets off to an especially psychedelic start. Loosely melodic guitar churn and massive crushing noises reel us into a world of trance-inducing doom. The stage is set. “Marijuanaut’s Theme” sets us off on our voyage. You don’t need to be stoned to enjoy this. It’s heavy, it’s brutal, it’s great. 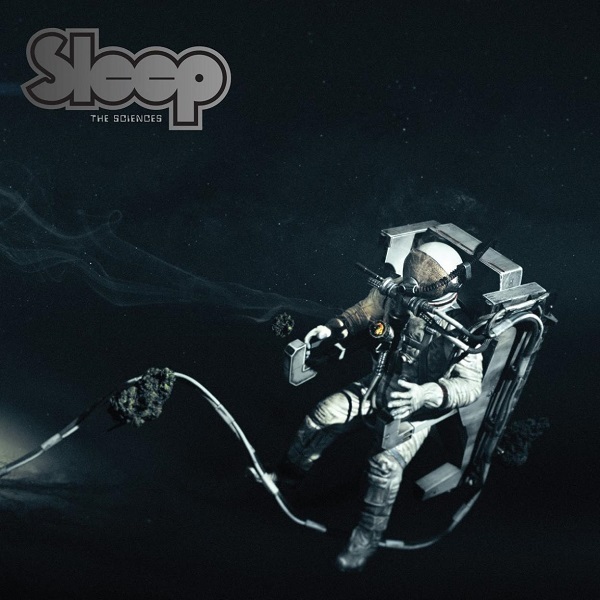 Spoken word vocals narrate our passage through this dangerous dimension of ‘asteroid fields’ and ‘lodestones.’ Sleep have always been good for a tribal feel and this newest album is definitely in line with their last. It’s theme to any aspiring shaman’s ecstasy. This is stoner rock though; so don’t expect a happy trip. “Sonic Titan” opens into a glorious rhythmic wall of sound – mellowing into slow, distorted single-chord meandering. Six minutes in, the vocals drop in, more melodic this time around – running parallel to the guitars. It’s brooding stuff. It’s Godzilla music. “Giza Butler” allows us brief respite from the unrelenting distortion assault – opening, as it does, to a smooth, mellow bass melody and phaser-enhaced guitars. “The Botanist” is similarly mellow at its opening, but less bass-leaning. Unlike “Giza Butler,” the guitars come in faster and dirtier – tripping into a fat, fuzzy psychedelic solo on lead. Towards the end, things go a bit jazzy-tribal as emphasis shifts to the drums. It’s an airy last breath for the album – wrapping it all up in a drawn-out exhalation. The whole of the album plays like the phases of a drug-addled journey through time. At times, it’s spine-shivering. At times, it’s pensive. Prevailing throughout are the makings of all great stoner rock: guitar raunch, bass-heavy mixing, long songs and entrancing rhythm. If I had to ask for more from it, I’d request a bit more melodic variation. Overall, however, I’m down. What do you think? Solid stoner fare fit for your next bad trip. It was gnarly, but could be improved with more melodic range.